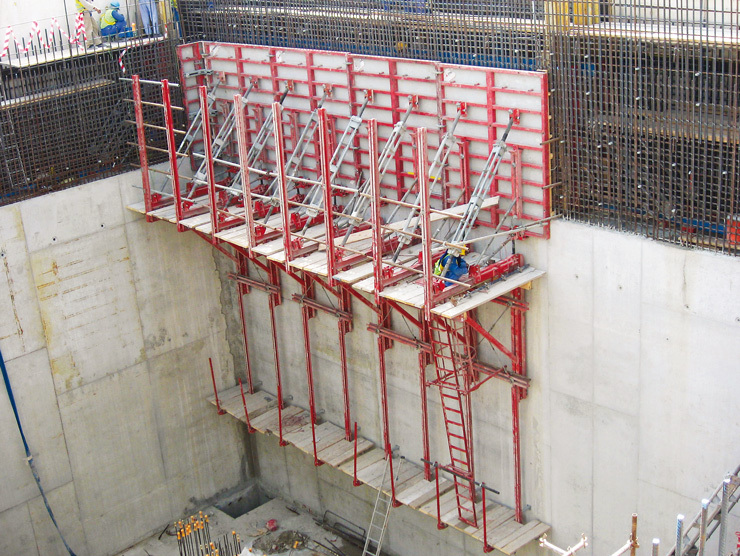 Novatec´s Guided Climbing System MGC comprises vertical formwork and safety platforms as a single unit. 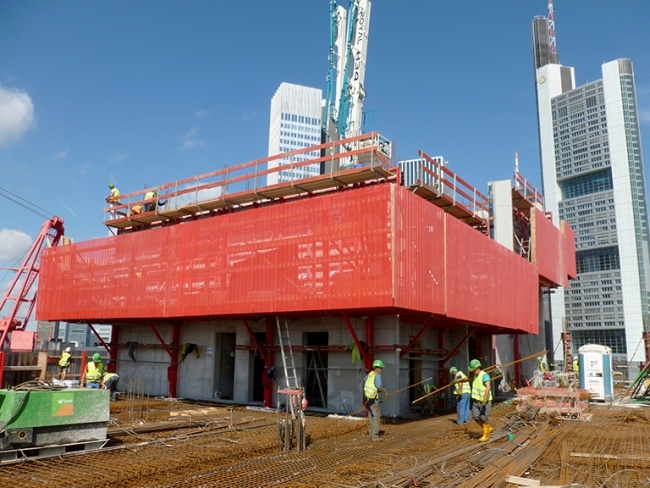 It remains securely attached to the building structure during building and lifting. Thus, wind velocities do not affect the building process. Assembly is at ground level for improved safety and speed. Novatec’s MGC (MEVA Guided Climbing) System provides a significant advantage: bracket extensions, secondary platforms, ladder extensions etc. 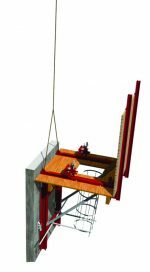 are mounted from ground level below – under simple and safe assembly conditions. 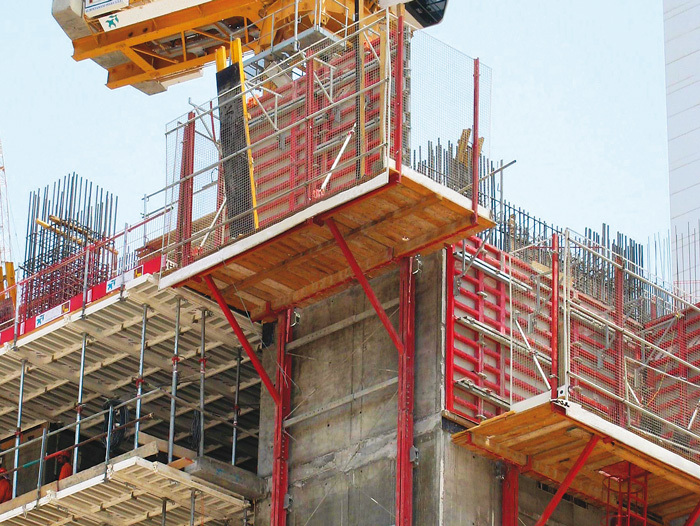 The MGC System is a proven and cost-effective technology for buildings which require the core shaft to be poured ahead of floor slabs. 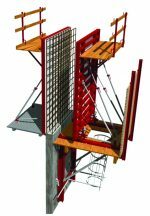 The Guided Climbing System MGC ensures highest safety for high-rise construction projects, with wind velocities up to 70 km/h. The integrated screens are designed to meet the highest standards in international high-rise construction. 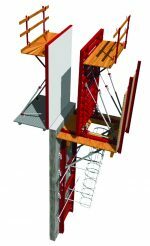 A modular system for climbing and screen adaption with the simplest possible design and logistics. Remians anchored to the building throughout the climbing process offering premium safety standards. Completely surrounded by screens making for optimum work safety and labour performance. Level heights from 3.00 m to 4.25 m - flexible planning for all high-rise buildings. Working platforms easily attachable to rails at any point. 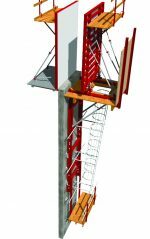 Assembled at ground level requiring the initial wall height of only 3.25 m.
Free positioning of guide rails up to a width of 4.50 m.
Simple, automatic climbing process - reducing crane time. Able to withstand wind velocities of up to 70 km/h - reducing down times.